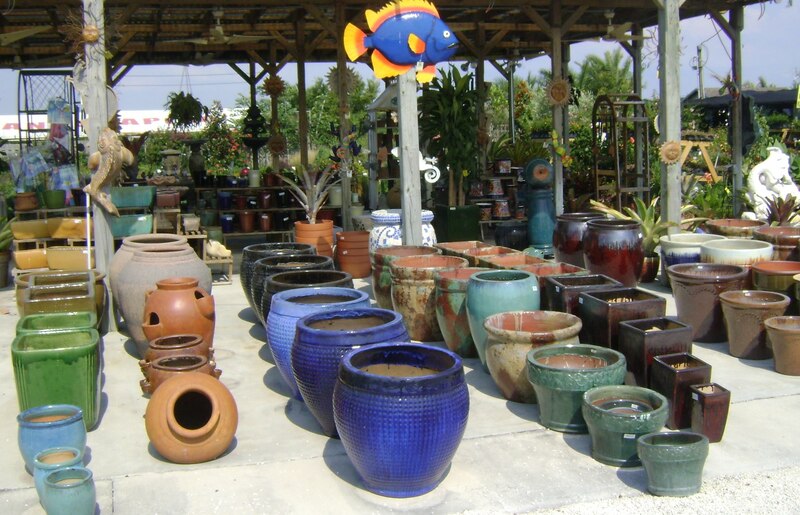 A Gardenpot, flower pot, or plant pot is a container in which flowers and other plants are cultivated and displayed. Historically, and still to a significant extent today, they are made from terracotta. Flowerpots are now often also made from plastic, wood, stone, or sometimes biodegradable material. An example of biodegradable pots are ones made of heavy brown paper, cardboard, or peat moss in which young plants for transplanting are grown. For seedling starting in commercial greenhouses or polytunnels, pots usually take the form of trays with cells, each cell acting as one small pot. These trays are often called flats. There are often holes in the bottom of pots, to allow excess water to flow out, sometimes to a saucer that is placed under the flowerpot. The plant can use this water with its roots, as needed. Recently, some flowerpots have been made with an automatic watering system, using a reservoir.